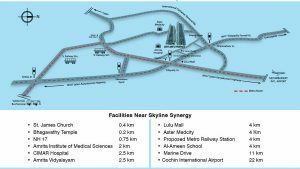 It is an exhilarating experience for me to become the part of Skyline Builders, which tops the realty industry of Kerala. With a humble beginning in 1989 the organisation has gained strength slowly, but steadily. 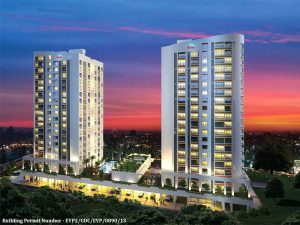 Within a span of 25 years, Skyline Builders has reached pinnacle of realty sector launching innovative and quality products. Considering the history of Kerala Real Estate, it is one of the fastest growing sectors of the state which plays a vital role in the overall economic growth. Here, Skyline Builders is one of the pioneers in introducing apartment culture to the state. The home builder has a signature trait of on-time delivery, quality construction and consistent excellence. 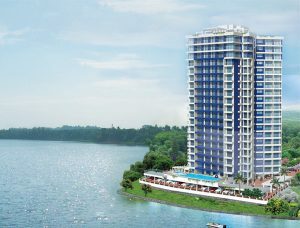 From Skyline Mansion in 1989, our journey is continuing with 130 luxury apartment projects across 10 cities in Kerala. The realty sector of Kerala witnessed the mushrooming of real estate builders in the past 25 years, but the survivors in this industry are very few. During its span the Kerala realty faced financial recession twice causing heavy blow to this sector that leads to the shutting down of many reputed residential constructions. For me 25 years in the life of an organisation cannot be considered a long period in financial point of view. But as far the real estate industry is concerned; it is a considerable amount of period, because the industry is witnessing booms and recessions intermittently. Built on the strong foundation of hard work, integrity and adaptability, Skyline Builders is also complemented by an astute management team. Its farsightedness and dexterity in financial planning helped the organization to surpass two major massive recessions during its lifetime. There are also some challenges like fund constraint, land availability, etc. during the course of the business, but it was cleverly tamed by the visionary management team. 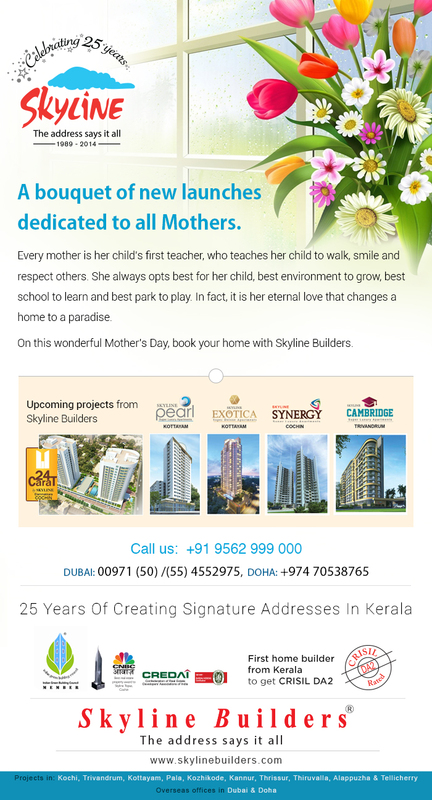 Even during the odd market conditions Skyline Builders shows its strong representation all over Kerala. Our financial planning is based on both short-term and long-term basis and management is taking steps to strengthen it on a continuous basis. The organisation is capable of progressing on internal resources restricting outsourcing of funds to the minimum. 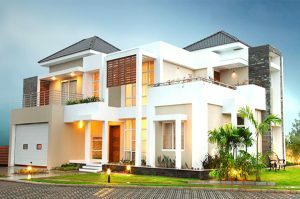 We have proven track record that every single property of Skyline Builders has created wealth for its customers through steady appreciation, triggered by ideal location, quality construction and aesthetic architecture. We have substantial presence in 10 cities across Kerala. With empiricism of 25 years we learned from our mistakes, inspired by our achievements and we are set to go miles ahead.